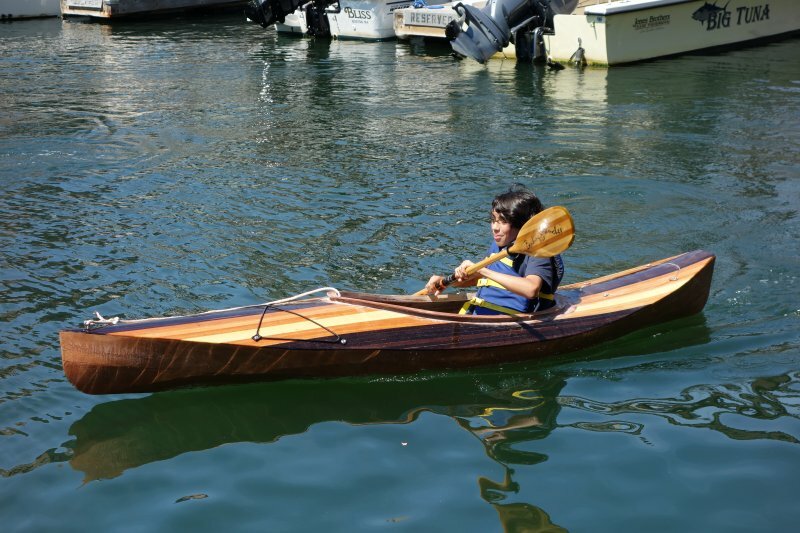 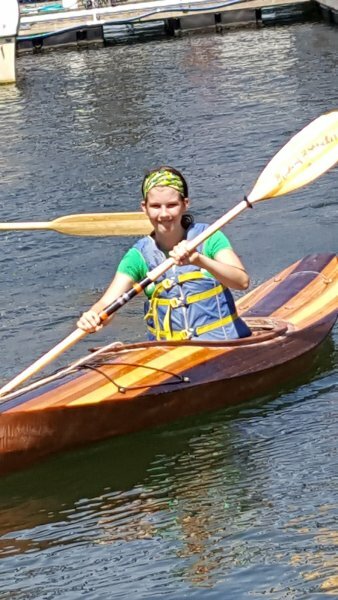 This Chesapeake Light Craft Wood Duck 10′ hybrid strip kayak was built with white cedar, walnut, and Doug fir by Community Boat Building campers. 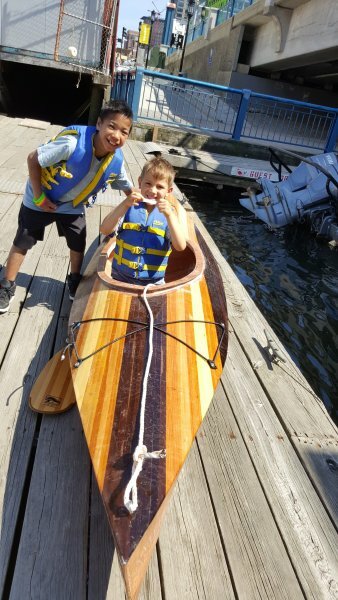 The 12 builders ranged in age from 6 to 15, and we are proud to report that she proved seaworthy and went to an excellent home! 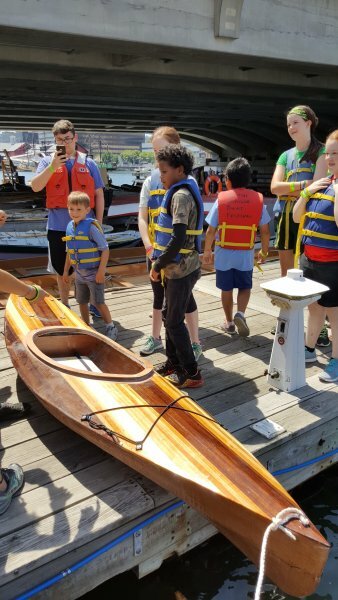 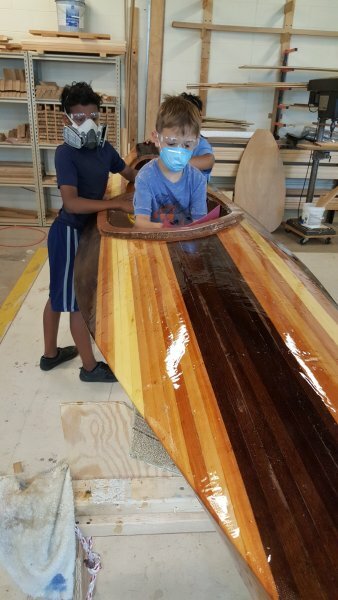 Community Boat Building is committed to working with underprivileged elementary school students in Boston (MA) public schools.